Signature Checker is an audit tool designed to quickly look at an area of a scanned document and determine if it contains any data. It does this by looking at the percentage of black and white pixels. It does not compare and validate a signature; it only looks to see if something exists in a specified area of a file. The program has been designed to process batch process single page tiff image files. 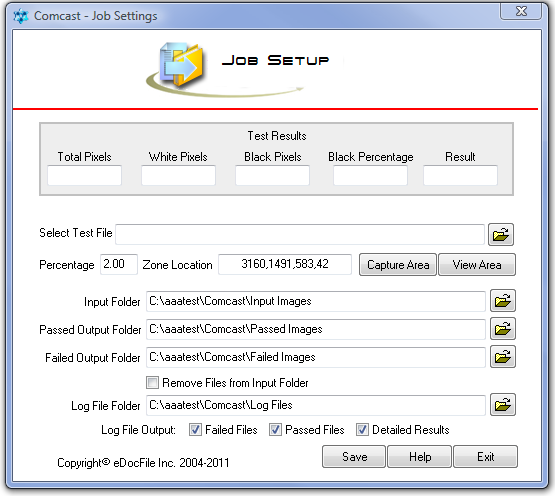 It can be set to process more than one job, with a job being a set of instructions (settings). So a file could be processed to look for a signature, then processed again to look at an area for initials etc. If the documents have already been scanned and saved as PDFs or PDF output is desired please contact us. This site does not contain serial number, crack, keygen Signature Checker serial number : serial number is the simplest type of crack. A serial number(cdkey,product key,etc) is register the program as you may already know. a crack or keygen may contain harmful software. If you cannot find the exact version you want, just give it a try. for more information read .nfo/.txt/.diz file include in zipped file.